The METAL BRIGADE is rolling over Switzerland, Germany and Austria again. 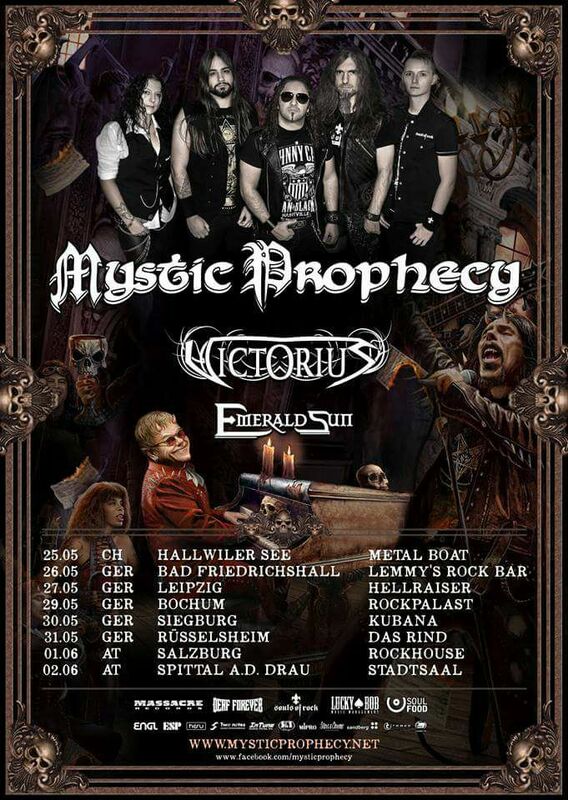 With the new album MONUMENTS UNCOVERED out, MYSTIC PROPHECY will hit the road for a headliner tour in May 2018. Guests will be Victorious and Emerald Sun. Check out the dates below and stay tuned for more information.